Our herbs are "Wildcrafted" (personally gathered from our own meadows or neighboring wild) or carefully chosen from the best growers and gatherer's in the nation and the world! 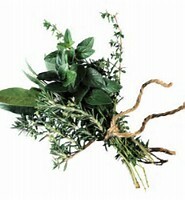 We look forward to personal conversations with you, which will help us to guide you with all of your herbal needs. We are here for you, when you need us! ​ Our knowledge has been gleaned from our family heritage for decades.